Over the years, DYNALABS has worked with thousands of clients, and has developed a set of best practice systems for producing medications. Each turn-key system is comprised of the necessary SOP’s, forms and tracking mechanisms that will serve as a starting point for the client. For additional information, please hover over a puzzle piece. Determining an optimal product design, validating the claims for product and monitoring product quality over time are essential elements of any quality program. 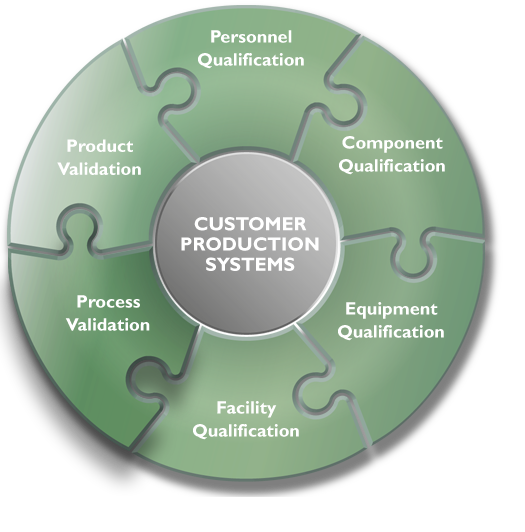 Contact us now to learn more about our turn key approach to Product Validation. Taking the time to design, optimize and validate a process, and establishing a cost effective monitoring program goes a long way to producing high-quality product. Contact us now to learn more about our turn key approach to Process Validation. Taking the time to understand the functional and operational requirements for a facility, is an important factor in designing or renovating a facility, and critical first step before incurring the significant cost of construction, qualification and ongoing maintenance of that facility. 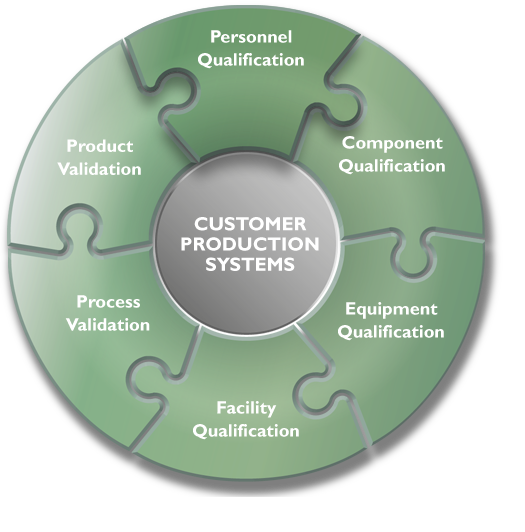 Contact us now to learn more about turn key approach to Facility Qualification. Designing and selecting equipment suited for its’ intended purpose is critical for producing quality product. Ensuring the proper installation, operation and performance of that equipment and establishing an ongoing preventative maintenance and monitoring program is essential for maintaining a consistent level of quality. Contact us now to learn more about our turn key approach to Equipment Qualification. 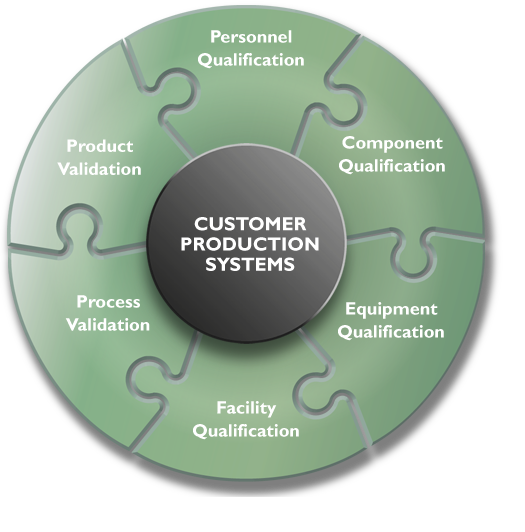 Establishing a cost effective and efficient system for qualifying your suppliers using survey tools, audits and inspection and testing programs, is essential for selecting and maintaining reliable, quality minded suppliers. 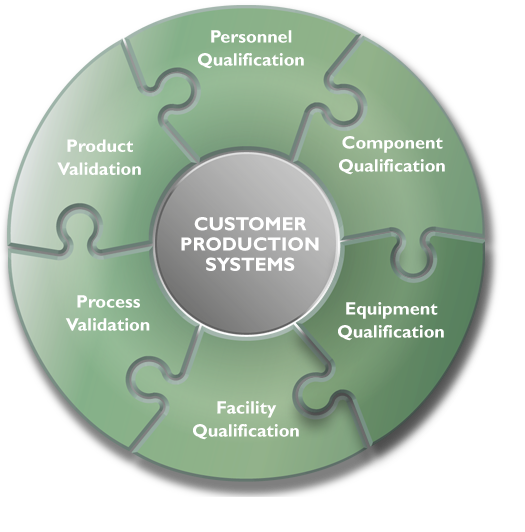 Contact us now to learn more about our turn key approach to Component Qualification. Producing consistently high-quality medications begins with hiring the right people, training them properly, and then monitoring their performance using objective measures. Contact us now to learn more about our turn key approach to Personnel Qualification.